The former Hayward School in Great Lever was closed in January 2009 and opened as Essa Academy — the first academy in Bolton. The new £18 million campus which also provides students from ages 11 to 16 with all the facilities to enhance their education along with a 3G pitch, dance studio and sports hall. This ground-breaking project was awarded to Kier construction, a leading construction group that we regularly work with to enhance their projects and fulfil their client’s requirements. For this ground-breaking project over 230 Premier lockers were designed and manufactured from within our manufacturing facility in Caerphilly, South Wales. 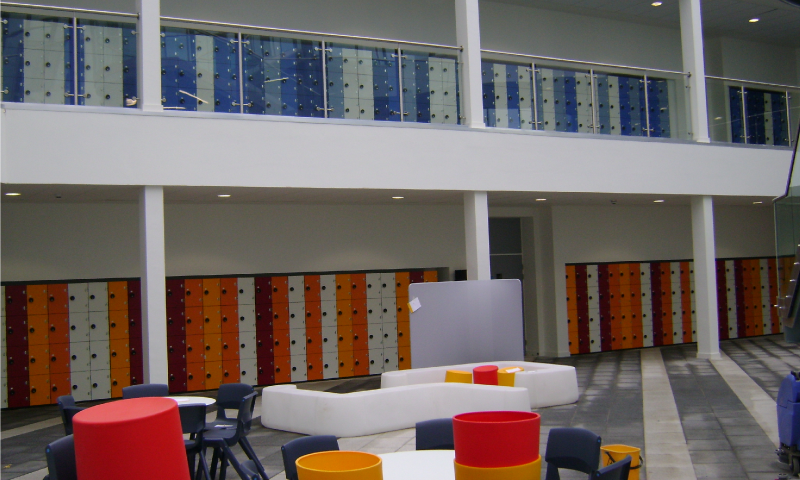 By fitting each locker with plant on solid grade laminate doors in a variety of colours plus 4 digit combination locks, Garran Lockers were able to provide a secure, practical and aesthetically pleasing storage arrangement on the project. 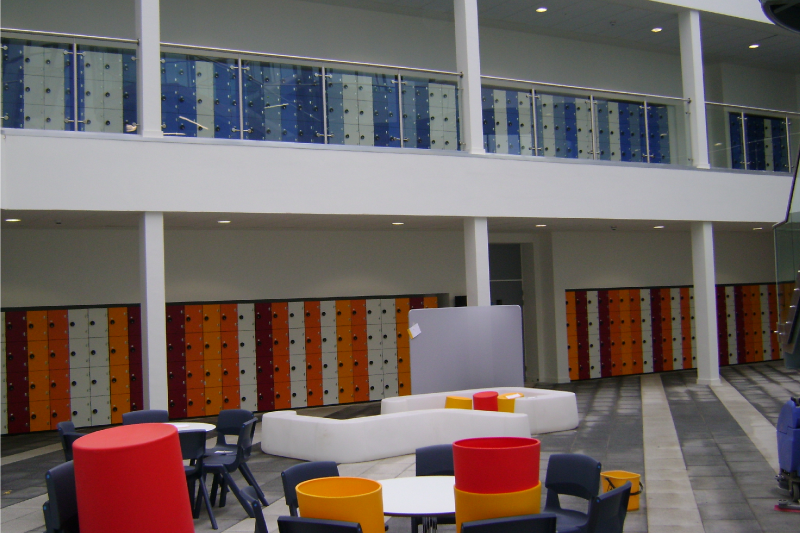 To enhance the lockers, a selection of double sided cloakroom units, benched seating and hook boards were included and installed by our specialist installation team.